Many people go to traditional temple fairs during the Spring Festival for ritual praying, entertainment, snacks, and buying crafts. They’re a window into the past and a great opportunity to experience local culture and traditions. Traditional cultural performances such as playing diabolo, traditional magic, puppet shows and so on can be seen. Besides, people can buy all kinds of daily things at very low prices and have a fun day out (if you’re not afraid of crowds). The main stage of the Wuhou Temple Fair will put on several award-winning performances including two sets of dances of Sichuan Opera, several local bands and three bands from Europe will perform. Here you can shop for some trinkets and gorge on local snacks. If you’re stuck at home and want to experience a festive day out look no further. 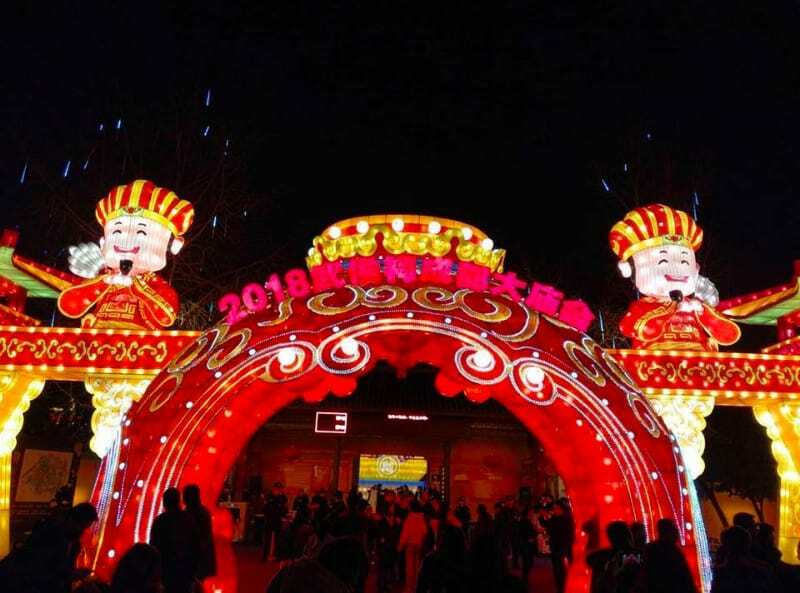 The most exciting part, though, is the Lantern Festival, set to get an upgrade to include the traditional Zodiac lanterns and Three Kingdoms themed lanterns, as well as new flower lanterns, waterfall lanterns and animal lanterns.